I love sunflowers. Our kids plant them every Spring and they look great every Fall. 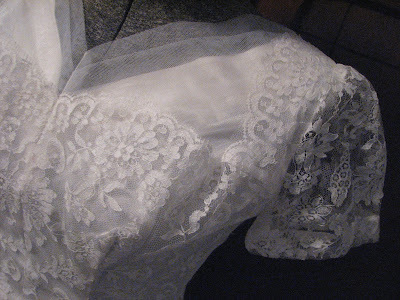 It was back to work for me today taking pictures of lace hankies and pretty dresses. I think my camera skills for close-ups need some practise after the summer, lol. Maybe it is the rainy weather and grey lighting . . . or I really am out of practise! I will have to try again tomorrow. This dress is just amazing and really should be shown in better light. It is too small for my size 8 dress form . 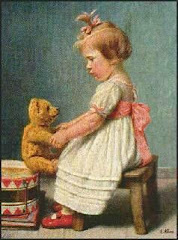 . . so my daughter may have to model it for me later today. 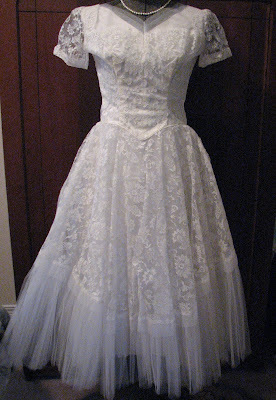 They certainly knew how to make a pretty party dress in the 1950s. 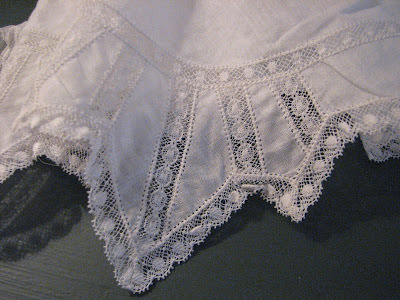 I have some silk hanky holders and wedding hankies ready to update the Bridal Section of my Etsy shop. 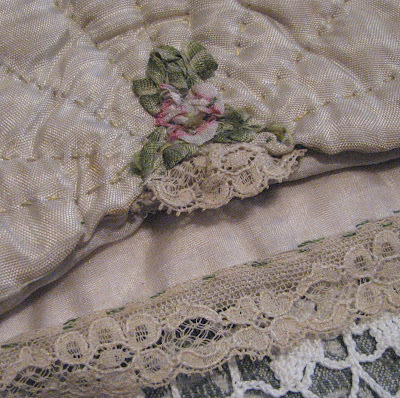 I like the net-lace hankies the best. The Cosmos is enjoying the nice warm Fall weather. Ther isn't much colour across the fields yet. Maybe next week. Hi Karen...Love that dress...so pretty. 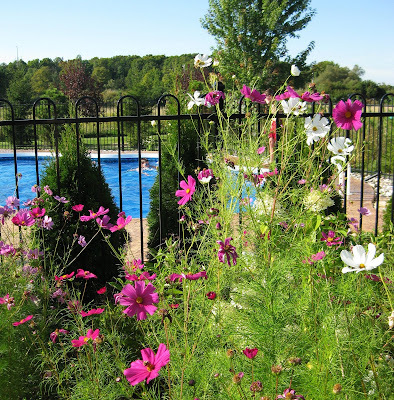 Great pic of the sunflower and cosmos..I'll miss the flowers when the snow finally arrives...hope it stays away for a little while yet! Spring is good...it will give you a chance to get everything in order. Karen I have been watching and waiting to see news about your shop, I'm glad to see you haven't let go of your dream and it's still on the things to do list. I Love your sun flower shot the younins did a wonderful job with their garden. 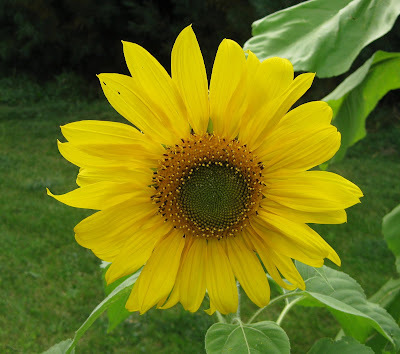 I adore sun flowers they are such a happy bloom you can's stay sad when you see one of those, there is a Field of them by my place and I smile every time I drive by. Hi Karen! That sunflower looks HUGE! It's so cute! That dress is dreamy looking! It looks so lovely and frothy! I guess back in the day of hankies one would've had to have a hanky holder, huh!? I'll have to check that out once you get them listed. 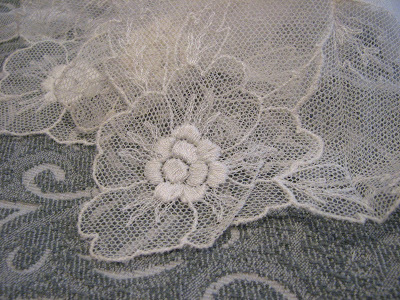 The flowers are beautiful and the lace is lovely!! !